My favorite month and it’s been a good one so far. Today I wrapped up my first documentary interview! Being on the other side of things, even on a very amateur level, is really rewarding. I’ll be halfway through my grad degree after this semester (bless) and one of my classes is a foundational digital media course. I was scared shitless when I signed up, I had no idea what I was doing or getting myself into. I can’t remember a time I took a class that I knew literally nothing about – maybe Astronomy in my sophomore year of undergrad? We all know that ended disastrously.. But halfway through the semester, I’m loving it. It’s hard and I’m not great at it yet, but I really am enjoying it. In other news, I get married in 194 days…!?!? Not that I’m counting, the wedding website we set up does that for us. Still kind of a trip sometimes when I think about it. Life moves so quickly and if I don’t consciously slow down and relish little bits of it, I swear to god it’d all fly by. I have blogged 0 about wedding planning and it honestly deserves it’s own series of posts. It can get out of control SO easily. It really isn’t hard to lose sight of marriage planning a wedding. It’s really been such a break between writing here that I could write about anything that’s happened in the last six months and it’d be semi-relevant here. Really into my Scarpetta novels again. Reread a few last week and I downloaded the audiobook of the newest one so I can slowly relish it on my drive to & from work. 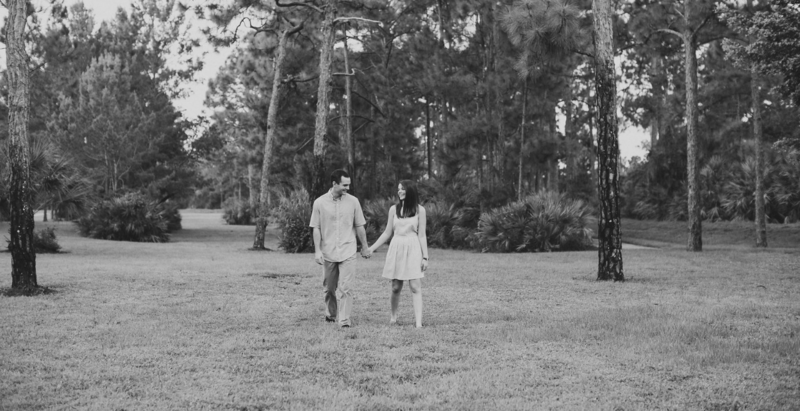 The picture above is from our engagement photos back in September. I don’t think of Kent & I as particularly awkward people, but taking engagement photos can reaaaally bring it out in ya, folks. Overall it was a really positive experience, we just realized how non-candid “candid” photos really are. We found a really sweet photographer and I love her style, the photos are one of the things I’m most excited about the wedding for. (besides, ya know, getting hitched). The idea of having photos of us at this stage of life to carry with us and show all our family someday is lamely exciting for me.